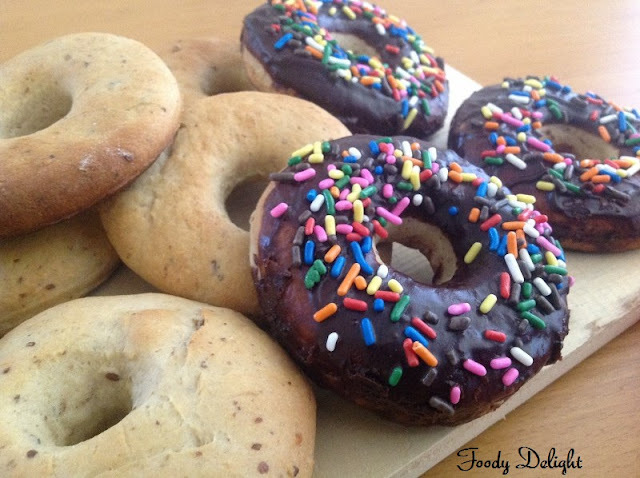 Baked doughnuts are healthy and delicious alternative to deep fried doughnuts.Baked donuts are yummy breakfast treat. 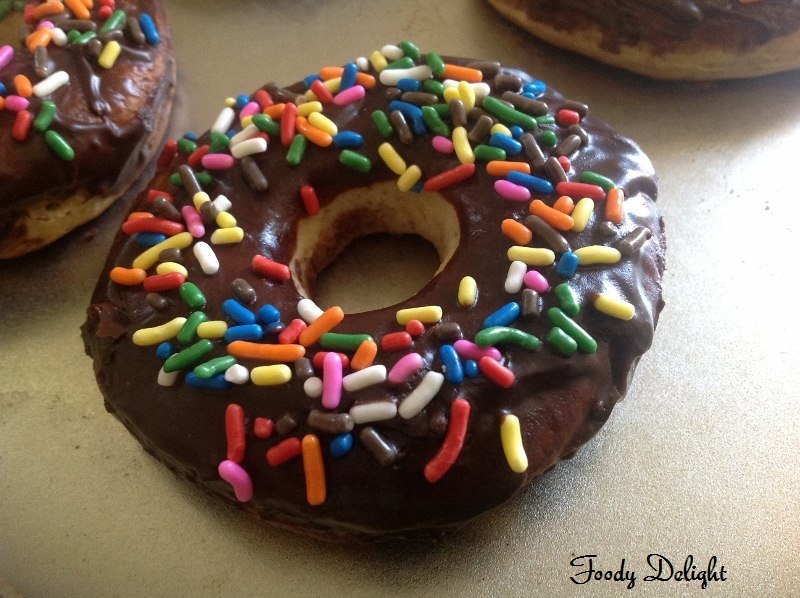 Fun of the doughnuts is that you can decorate the way you like. Combine whole wheat flour, all purpose flour,flax seeds powder, sugar and salt in a large bowl and mix everything well. Roll out the dough into circle of 1/2 inch thickness. 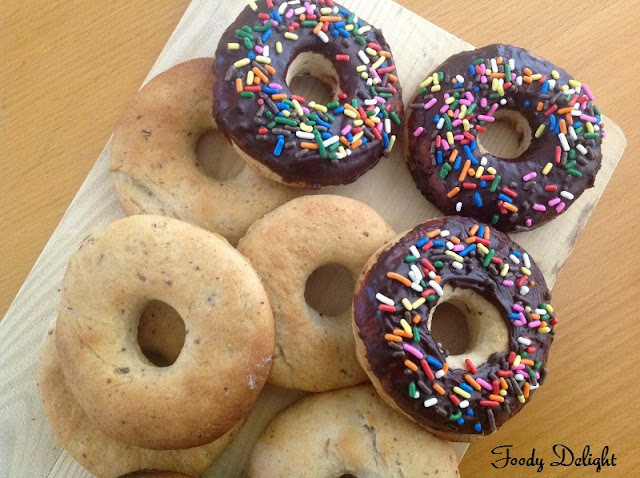 Cut out the rolled dough into doughnuts using doughnuts cutter . Place the doughnuts into baking tray, cover with damp cloth or plastic wrap and again keep it in warm place for about 30 minutes for second rise. After 30 minutes,bake the doughnuts at 375 F for about 15 to 18 minutes or until light golden color and done. When doughnuts cools down, put the cooling rack on the baking tray. Hello new friend! Thank you for commenting on The Kitchen Witch - I hope you will follow along with all the fun! I will surely be following you - your blog is beautiful and this recipe!! Oh my gosh - AMAZING!! Wow your doughnuts look so colourful Kids definitely love this. donuts look fantastic... healthy and delicious... bookmarked.. I too want to try this soon! Thank you so much for visiting my blog and following! 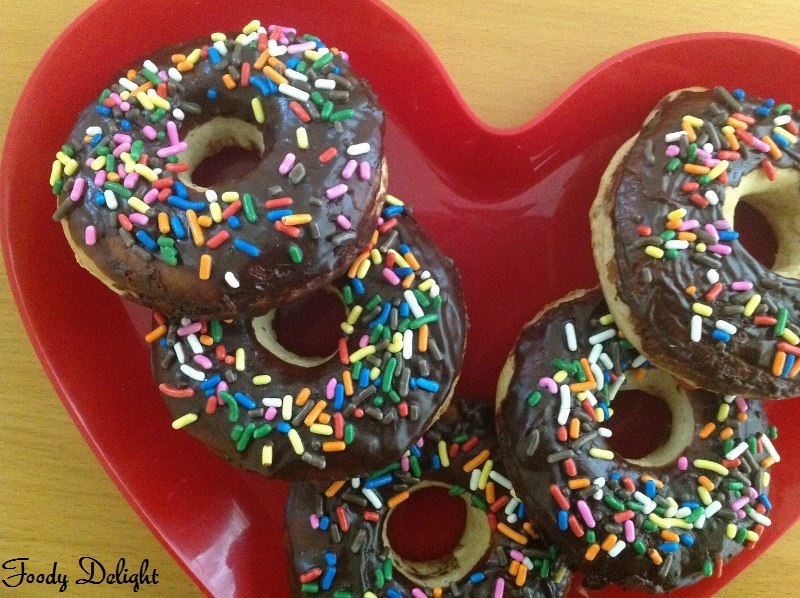 I am so happy tom follow back :) These donuts look so fun- I love the sprinkles on chocolate! Have a great evening! Looks healthy and tempting. Will try soon. Hi, here I come! These doughnuts are certainly healthier than the regular ones & guess what, they look so much like bagels too! Baked version looks very nice. love the chocolate ones with the sprinkles on.. These are much healthier than the fry ones. 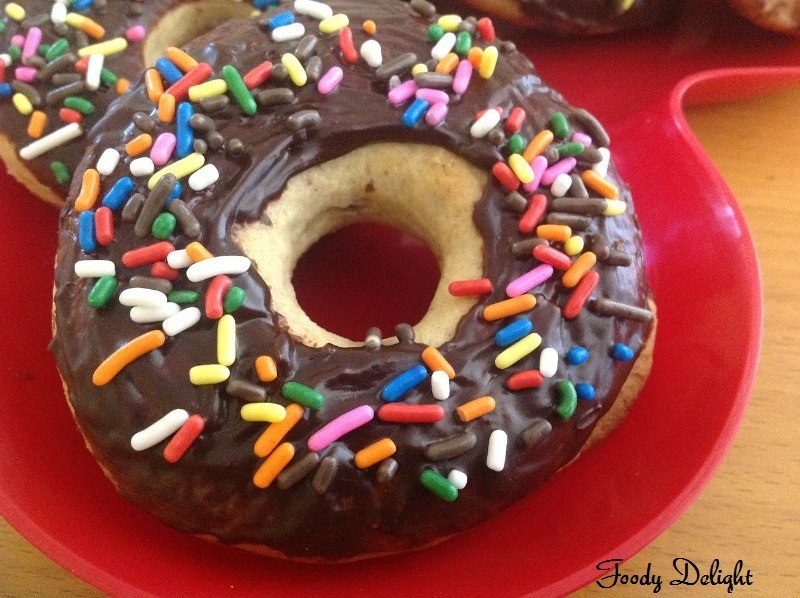 Didn't know that doughnuts can be baked too. My my what a perfect healthy twist to a guilty delight! Looks awesome!